Things aren’t always as they seem. As reported recently in the New York Times, what you and I might recognize as a Vincent Van Gogh painting is not how the artist saw it or painted it. 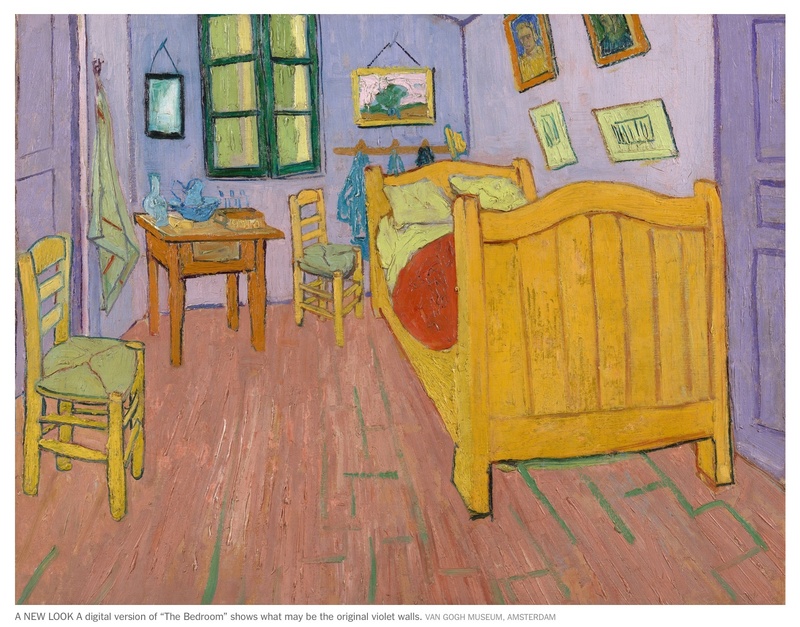 Using an electron microscope and X-ray fluorescence spectrometry, scientists analyzed his masterpiece “The Bedroom.” They discovered that, among other differences, the walls that generations have thought to be blue were actually violet when Van Gogh first painted them. It seems the paint pigments of the era were not stable, and with the passage of time the color has changed substantially from its original. For art historians, this news has resulted in a dramatic revision not only of this one painting, but of our understanding of Van Gogh’s artistry, influences and subsequent influence on his craft. (NYTimes, 4/30/2013). 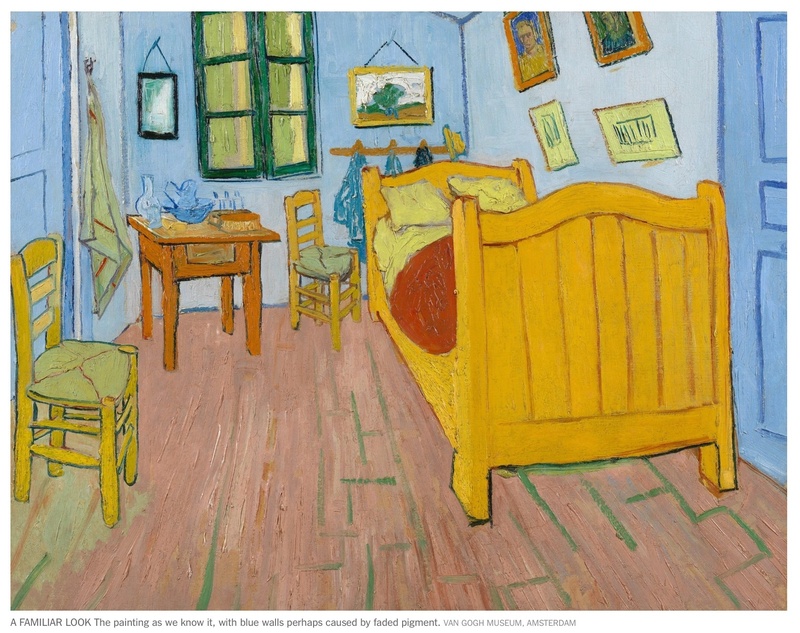 A friend and colleague of mine, Rabbi Elliot Cosgrove of the Park Avenue Synagogue in New York, noted this story and asked a piercing question: Which painting is the actual painting? The painting we see or the painting as it was actually intended? Which has more authority, the original, or the artwork as it has been received and understood over time? The article in the Times reports that beginning this fall, next to the original Van Gogh Museum in Holland will hang a digital reconstruction of what the painting looked like when Van Gogh first painted it. Rabbi Cosgrove asks, if it were possible for experts to restore the painting to how it looked as the paint dried, should we do so? Or is it possible that more important than what the artist wanted is the reception of the piece of art by us – the viewing audience of subsequent generations. Rabbi Cosgrove then explores the implications of the Van Gogh findings as it relates to Torah. Which is more important–the Torah as God meant when God gave it, or the Torah as it has come to be understood by successive generations? Rabbi Cosgrove eloquently discusses how we understand the evolution of Jewish law and the authority of an ever changing yet eternal Torah. I’d like to explore the Van Gogh issue from a slightly different angle. The question of what is the authentic painting is a question of relationships. How are we to relate to the painting? What demands do the painting and artist make upon us, and what demands can we make in return? In pondering this question on Shavuot, we note that this is z’man matan Torateinu, the season of the giving of the Torah. The giving of the Torah, including the articulation of the Ten Commandments (Exodus 20) marks the deep relationship between God and the Jewish people. The relationship has the status of brit or covenant. Earlier in the Torah, God makes covenants with individuals, such as Abraham and Noah. Now God makes a covenant with the Jewish people. What does it mean to be in a covenantal relationship? I recently read an important new book by Dr. Ron Wolfson, “Relational Judaism: Using the Power of Relationships to Transform the Jewish Community.” Wolfson notes the great challenges that Jewish institutions across the board face today in projecting relevance and maintaining support. Through scholarly research and anecdotal reporting of best practices in the field, he makes the case that the future of Jewish institutions lies not in the programs they produce but in the relationships that they cultivate and nurture. Every interaction in Jewish institutions should be rooted in the sense of brit, sacred covenant. Just as our ancestors made a covenant with God, we as a Jewish community need to cultivate covenantal relationships within our community. Wolfson notes an irony in the verb used to describe the creating of a covenant. He writes: “The words used in the Torah to describe the establishment of a covenant are likhrot brit—literally, “to cut a covenant.” “Cut” is an interesting term. We “cut a check,” a promise to pay. We “cut a deal,” an agreed upon transaction. But, we also “cut someone out of a will” and “cut off” a bad relationship. Cutting can mean both separating and binding, depending on the context. In either meaning, the individuality of the two parties in relationship is recognized” (35). There is a nexus between covenants between individuals and covenants of communities. Wolfson writes: “The idea of covenant is, as Rabbi David Wolpe, author and rabbi of Sinai Temple in Los Angeles, has noted, “the spine of Judaism.” We are constantly reminded of our covenantal relationship with God and each other. Shabbat is a sign of the covenant. The Passover Seder reminds us that God keeps promises: V’hi she’amdah l’avoteinu v’lanu, “God who safeguards God’s promises to our ancestors and to us.” The pageantry of the Torah reading service reenacts the revelation of the covenant at Sinai. The goal of the covenant is celebrated at the climax of the ceremony—the returning of the Torah to the holy ark: Etz hayim hi l’machazikim bah, “It is a tree of life for those who take hold of it,’ v’tomkheha m’ushar—“and those who support it are enriched.” In other words, those who embrace the covenantal relationship discover how to live a life of meaning and purpose, belonging and blessing. Moreover, covenants form the foundation of “community”—a group of people bound together in relationship based upon reciprocal responsibilities” (37). Wolfson builds his case further by identifying nine key relationships that each Jew ideally should have and that Jewish institutions, such as synagogues, are most successful when they help in cultivating these relationships. These relationships are with oneself, family, friends, Jewish Living, Community, Jewish Peoplehood, Israel, the World and God. Four of them, Self, Family, Friends and Jewish Living, can be described as personal relationships. Community, Peoplehood, Israel and World are communal relationships. The bridge between personal and communal is God. Relationships between people and paintings, such as the Van Gogh’s, are complex and dynamic; all the more so relationships between people. This holiday, like all others, is a time for us to reflect on the complexity of our relationships and to renew our personal and communal covenants. It’s an opportunity for us to take our virtual X-ray spectrometer to examine our synagogue. It’s a time for us to re-envision our shul as a place that not only provides services, but, as its essence, helps us create vibrant relationships with one another. On Shavuot we imagine ourselves standing at Sinai entering into a covenant with God, however we choose to imagine that. Just as scientists examine paintings with advanced technical instruments, we examine ourselves and our relationships with the instrument of our heart. And we do so with our ancestors and departed loved ones who have bestowed Jewish tradition upon us. We have inherited Jewish tradition form them, and it is upon us to interpret it, just like an old painting. As we observe Yizkor, we express gratitude to God for the gift of our loved ones. Even though they are no longer with us, we are different people because of them. Just as Shavuot incorporates different elements, we recall our loved ones who touched us in so many different ways. During this harvest season, we recall how we have reaped the benefits that our departed loved ones have left us, even as we regret they are no longer here. During this season of the giving of the Torah, we recall all of the wonderful teachings and insights into life that our loved ones gave us. They enriched our lives with texture and color more than any painting ever could have. May their memories be for a blessing.